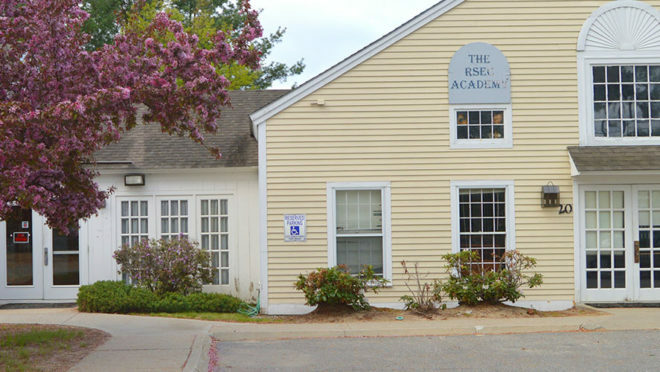 Vista Learning Center has been accredited by the New Hampshire Department of Education Bureau of Special Education for grades 9 to 12 in addition to its existing program for students in middle school grades 5 to 8. Vista was also recently approved to accept students with Specific Learning Disabilities, including perceptual disabilities such as brain injury, and developmental aphasia. Vista’s unique approach focuses on real-time instruction integrated with social thinking skills, and has shown positive results since its founding in 2017. “At Vista, we try to establish a mindset for growth – both academic and social – that will help students overcome learning challenges as well as any other challenges that may be interfering with their ability to learn and be successful at school,” said Amanda Reed, Vista’s director, who was also a middle school special education teacher at Vista’s affiliated RSEC Academy middle school for nearly five years. At Vista, students gain confidence by strengthening their self-esteem, communication, cooperation, problem solving, trust, and leadership skills. Teachers lead small classes in group academic instruction and small group adventure-based counseling, which often includes opportunities to apply those concepts in real-world situations. The program helps students connect with their community beyond the classroom with a dedicated external community coordinator. Vista is also different from other programs for students with learning disabilities because it requires regular involvement with parents and others involved in a student’s home life to create pathways for everyday experiences to become personalized learning experiences. When Vista launched in 2017, it provided a resource for students who have not been successful in traditional middle school learning environments. 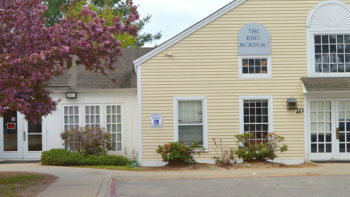 Recognizing that the need extended to students of all ages, the administrative team at Vista and its parent organization, Regional Services and Education Center (RSEC) sought to open the program for high school-level students and expand its competencies to also serve students with a Specific Learning Disability, as defined by the New Hampshire Standards for the Education of Children with Disabilities. Specific Learning Disability refers to a disorder in one or more of the basic psychological processes involved in understanding or in using language, spoken or written, that may manifest itself in the imperfect ability to listen, think, speak, read, write, spell, or to do mathematical calculations, including conditions such as perceptual disabilities, brain injury, minimal brain dysfunction, and developmental aphasia. This approval is in addition to its current program that serves students with autism, speech language impairment, emotional disturbance, and other health impaired students, including those with anxiety, ADHD, or school phobia. Vista Learning Center is open to students in New Hampshire and Massachusetts, and does have limited openings available for the 2018-19 school year. Vista currently works with the following school districts and school administrative units (SAUs): Amherst; Merrimack; Epping; Raymond; Exeter; Nashua; Manchester; Hooksett; Pembroke; Hudson; Derry; Londonderry; Goffstown; Pittsfield; Concord; Chester; Hampstead; Fremont; Rye; Salem; Windham; Hampton; Northwood; Barrington; Bow; and Deerfield.